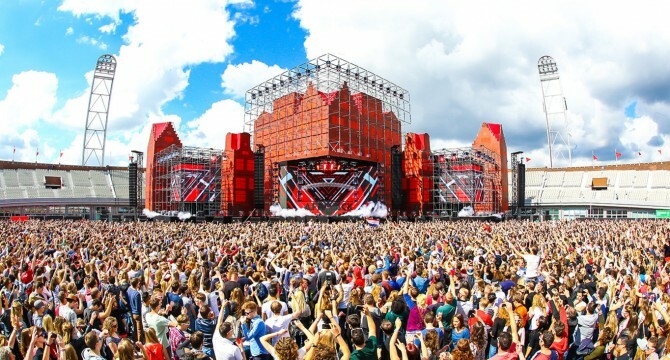 The Flying Dutch is always one of the highlights of festival season each year, ranking as the premiere EDM event serving The Netherlands while paying homage to the DJs and producers that hail from the region. This year’s edition of the festival brand featured a number of the biggest names in Dutch dance music, with Tiësto, Martin Garrix, Oliver Heldens, Afrojack, Hardwell and more appearing on the stacked lineup. If you weren’t fortunate enough to make it out the Netherlands this year, you’re in luck. A number of explosive live sets from The Flying Dutch have hit the internet today, giving dance music fans a chance to experience some of the top performances from over the weekend. We’ve posted a number of the best live sets from The Flying Dutch for your listening convenience below, including performances from Martin Garrix, Oliver Heldens, Tiësto and W&W. If you’re looking for more, a complete selection of live sets can be heard here.